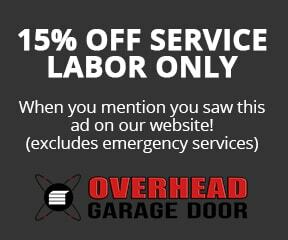 Highland Park Garage Doors, Highland Park Garage Door Repair | Overhead Garage Door, Inc. The residents of Highland Park are lucky to live in such a beautiful residential area, and they show their pride and commitment to keeping it this way by maintaining attractive homes. One of the most visible areas of a home is the garage door, and if it becomes damaged, dated, or inactive, it can ruin an otherwise excellent curb appeal. This is where Overhead Garage Door Inc. comes in. We have expert technicians who are very knowledgeable and friendly, as well as a large selection of products for you to get exactly the look you need for your home. We are sure that we can give you just what you need, so take a look at what we have to offer and then give us a call. 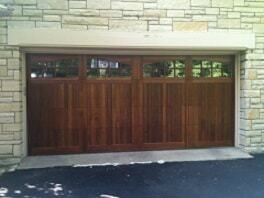 Many things can cause damage to your garage door. Sometimes bad weather causes trees to blow around, hail to dent things up, and wind to knock things askew. Car accidents can also be a problem, and a slight miscalculation or slip of the foot on a gas pedal can wreak havoc on your garage door. And, even if you manage to avoid incidents like this, the mechanism in your door can simply experience an error and need some professional attention. Garage door repair for Highland Park is a service we have provided for decades, and we enjoy being able to make homes safer and more attractive for families in the area. They are proud to serve the Highland Park garage door repair needs that arise, so you shouldn’t hesitate to call if you are having problems. Delay can mean inconvenience, safety hazards, and even security problems with your home, and you shouldn’t have to suffer through that. We are glad to offer answers and options. We can help you find doors with the features you need for insulation, shape, size, color, style, and more. Simply give us a call and speak with one of our experienced representatives. You can arrange for a technician to come to your home, evaluate any issues, or walk you through a repair or installation process. Our Highland Park garage door repair services and products are offered at affordable prices so you can get what you need without breaking the bank. We look forward to hearing from you, and helping you find the solution to your garage door needs. “Wade B. couldn’t have been more professional. He showed up when he said he would, gave me a fair and thorough estimate, and fixed my garage door the same day. Great job!” – Chris R.
“Paul R. was a pleasure to do business with. He was knowledgeable, courteous, and honest.” – Judy M.
“I can’t tell you how much the follow-up service Lannette B. provided me with meant. Extraordinary!” – Kevin S.